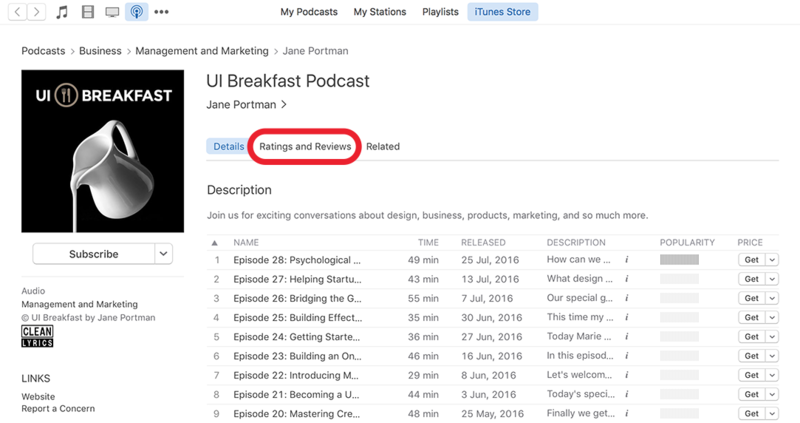 Leaving a podcast review at iTunes isn't intuitive. But positive ratings are hugely important: they help the podcast get discovered by new people. Please spend 5 minutes of your time to leave a review using one of the methods below. Launch Apple’s Podcast app on your iPhone or iPad. Tap the Search icon (on the botton) and search for “UI Breakfast.” Tap the album art. 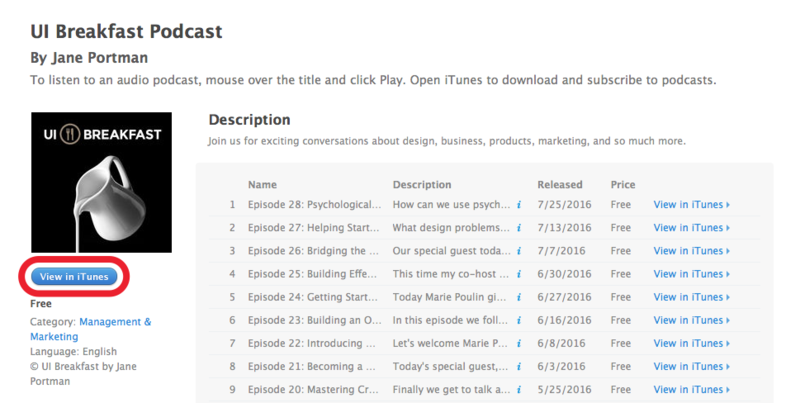 Go to the iTunes page of UI Breakfast podcast. Thank you so much, my friend! When you leave a review, please drop me a line at jane@uibreakfast.com and I’ll write the warmest thank you note to you personally.